Looking for a new little something to up your food game? 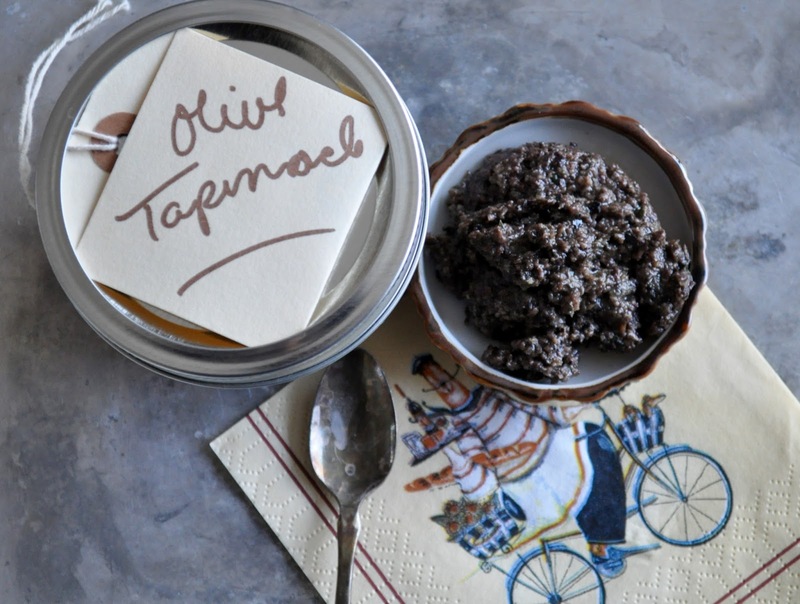 Look no further than this versatile Mixed Olive Tapenade. 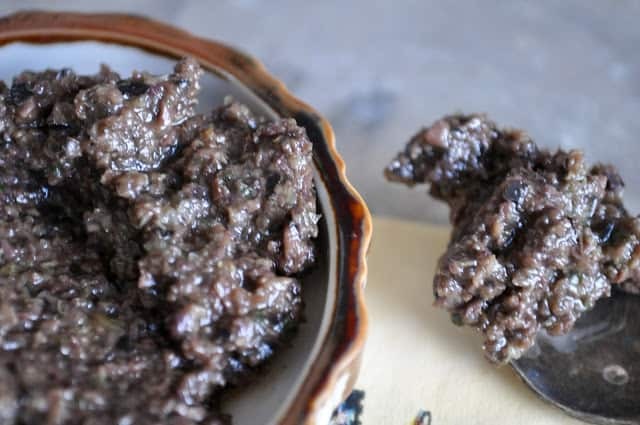 Use it for spreading on bread, or as a mayonnaise substitute, use it in pasta sauce or just straight on pasta, throw it on your salad or you can even bake chicken with tapenade brushed on as a sauce. It’s totally easy to make, keeps for a week in the fridge and you’ll find so many great ways to use it you’ll keep on making it. 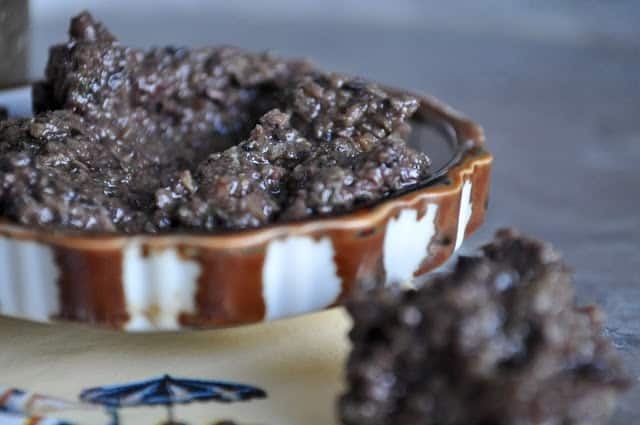 The first time I encountered tapenade was reading through a recipe from Sunset magazine years ago, it was a sandwich recipe and it called for tapenade, along with a little mayo and some good crusty Dijon mustard, to be spread on the bread and wrapped tight for 4 hours. If I’d have had google I would have looked it up but alas google hadn’t invaded my kitchen at the time. So I flipped the page to read about this mysterious item and realized it was basically just an olive spread. And the next time I ventured out to the big city I hit up the specialty market, found some tapenade and discovered that it was super tasty. If only I had known how easy it was to make I’d have whipped up a batch. And I won’t even tell you how long it took me to actually MAKE a batch, ok fine it took me 10 years but once I figured it out, there was no stopping me. 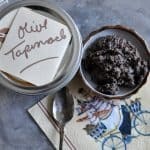 I recently decided to make up a HUGE batch of Mixed Olive Tapenade for Palmer Food Swap but the recipe I’m sharing with you only makes roughly a cup, usually a little more. Make sure you find a mix of olives you like to eat, there’s no point in using disagreeable olives in this recipe because their flavor shines through. The recipe also calls for a bit of anchovies, don’t leave them out if you can help it, their depth of flavor is a major component to the overall quality of your tapenade. You will not taste fish though, does that help?